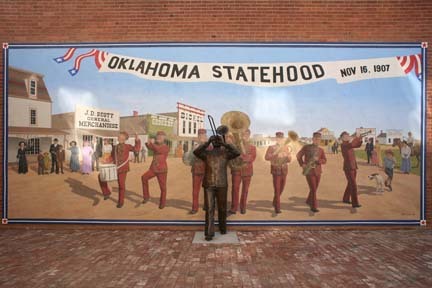 Oklahoma became a state on November 16th, 1907. This mural is an artiist's interpretation of the celebration on that day. The buildings and street are as they would have appeared in 1907. The band uniform is based on a real uniform from the Cherokee Strip museum. 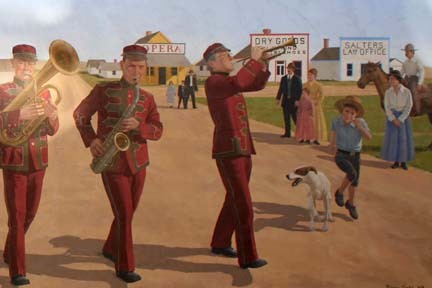 The faces of band members and other characters in the mural are based on real people. The mural was painted by Roger Cooke in 2007.